With Easter just around the corner, you might be stocking up on your family’s favorite spring goodies. Peeps, chocolate bunnies, and Cadbury eggs may one of your favorite parts about the holiday. But, once the Easter bunny hops away and leaves a trail of chocolate, your dog may find themselves tempted with easy access to dangerous foods. As every pet parent knows, no matter how well you plan and how much you focus on prevention, there is always at least one pet who finds a way to get into the exact thing that you are trying to keep from them. Which Easter goodies are bad for pets? Chocolate of any kind. This may seem obvious, but dogs should not consume while, milk, or dark chocolate. This includes Cadbury eggs, small foil wrapped eggs (which you might have hidden around the yard for the kids to find), or chocolate bunnies. Plastic Easter grass. This decorative grass can cause intestinal blockages and can be extremely painful for your pet to pass. Plastic Easter eggs. They look like ball-shaped toys, so naturally, dogs love to tear them apart. But ingesting plastic is never good. Food coloring. While most egg dies are safe, some contain carcinogens that can be dangerous to people and pets alike. Always make sure your dyes are non-toxic. Any candy containing Xylitol. This artificial sweetener is toxic to dogs and cats alike. These spring-time flowers are toxic to cats and dogs and can cause tremors, anorexia, depression, and upset stomach. While Peeps certainly won’t kill your dog, they will cause an upset stomach. If your pet happens to find a way into forbidden treats, do not panic. There are a few things you can do to keep them safe. Observe your pet for signs of poisoning. If they appear to be panting, restless, pacing, urinating frequently, vomiting, experiencing diarrhea, have an elevated heart rate, or are having seizures, call your vet immediately. Call the Pet Poison Helpline (855-213-6680) for advice and monitor your pet. Make sure to put away any leftover candy or items that may still be out so that your other pets do not follow suit. 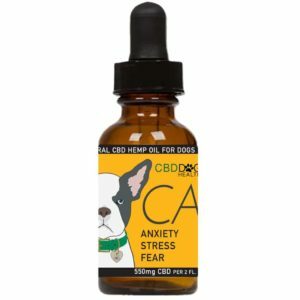 Administer CBD oil to reduce inflammation and keep anxious pets calm. 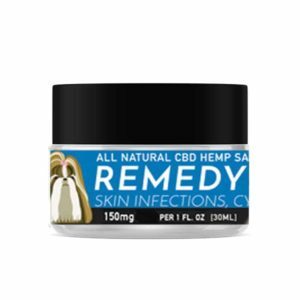 We recommend CBD Dog Health’s CALM Full Spectrum Hemp CBD tincture. The best way to keep your pet safe is to prevent issues before they arise. If you are planning to hide Easter eggs, keep your dogs and cats away from the area until you are sure that every egg is found (ESPECIALLY hollow plastic eggs filled with candy). You can also use shredded paper in place of plastic Easter grass, which not only keeps your pets safer but is a better option for the environment. You should also be sure to throw away any foil wrappers that dogs or cats might be tempted to play with or eat. After the Easter festivities are over, get down on the ground to your pets’ eye level and make sure that anything dangerous, like forgotten plastic eggs or stray bits of plastic grass, have been picked up. I think everyone has dropped a small chocolate egg or two under the couch at some point in their lives and without a doubt, your dog will always try to find it. With a little preparation, you and your pets will have a fantastic holiday. To learn more about keeping pets safe during the holidays, visit www.angelaardolino.com or www.cbddoghealth.com. Angela Ardolino has been caring for animals since she was 8 years old and has operated a farm rescue for over 10 years. She also is the owner of Beautify the Beast a natural pet salon and spa, and the founder of CBD Dog Health. Angela is an expert in medical cannabis and has dedicated her life to providing all-natural relief for pets of all kinds. She has four dogs, and 4-10 at any time that she is fostering or boarding; visit www.angelaardolino.com to find out more or www.facebook.com/fireflakefarm to find out more about Fire Flake Farm.